One of our learning curves in the lab surrounded gloves. It seemed simple but there are actually three major types of gloves available on the market. Below is our review of each type. We buy them in bulk. We give a thumbs down to vinyl gloves. They may be very cheap and easy to buy at local drug stores, but they don’t stretch very much and are not tight enough on your fingers. These gloves could work well if you are mixing wood chips or something like that outside where dexterity is not required. Latex gloves are our go-to gloves. They are made from natural ingredients and are quite cheap. (We don’t have any latex allergies to worry about.) We do prefer non-powdered gloves just so that you don’t get the powder on everything you touch when you take them off, but the lightly powdered gloves are easier to put on! Ensure you get the right size. They should fit snug enough so that you don’t really feel like you are wearing gloves. 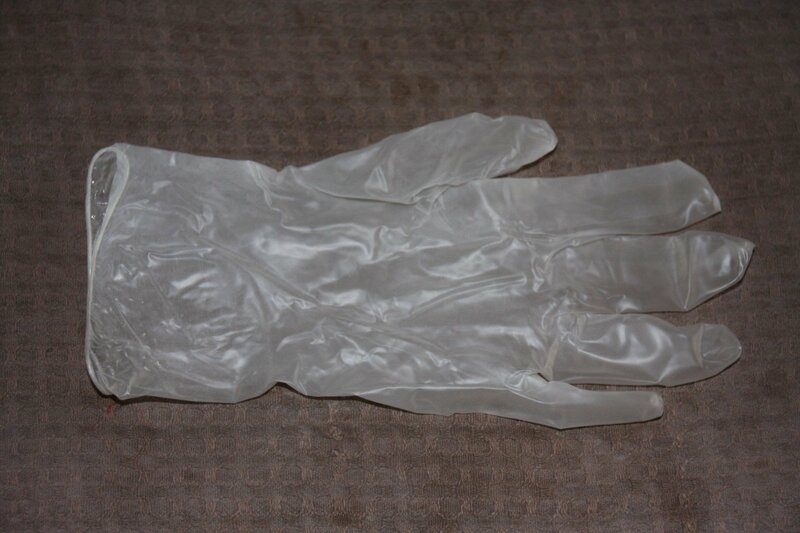 Latex gloves stand up to multiple alcohol cleanings so we can easily work for a few hours with one pair. Nitrile gloves are nice to use but they are significantly more expensive than latex. They are also made from oil. However, if you have a latex allergy these would be your only option. 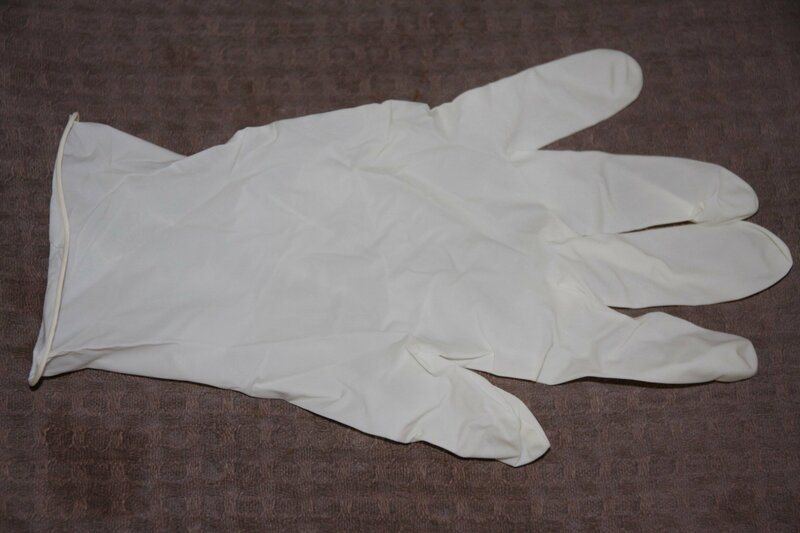 These are the gloves you see in the hospital or at clinics. 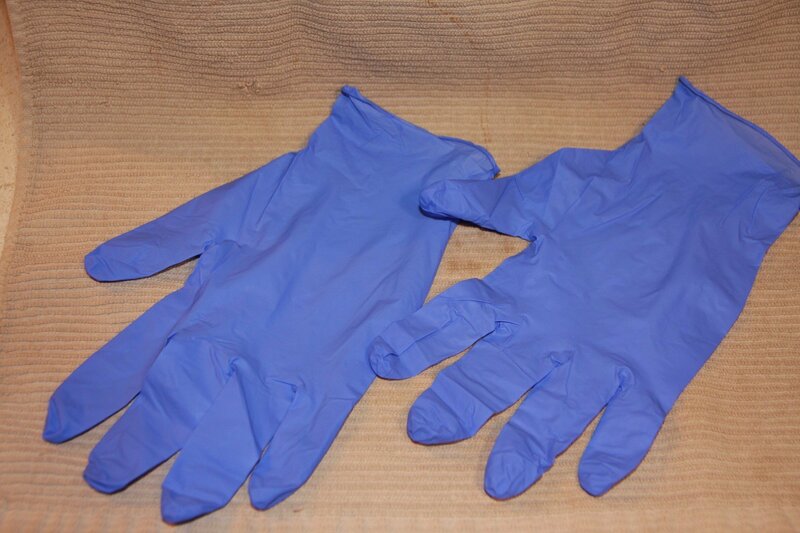 You can get nitrile gloves in different weights so it is possible to buy heavy duty gloves of this material.